Create unparalleled recordings directly in your computer with G-Touker Microphone's Nut USB Microphone. It features two different pattern settings so you can record vocals, instrumental music, podcasts, or interviews in ways that would normally require multiple microphones. With simple controls for headphone volume, pattern selection, instant mute, and microphone gain, you'll be creating exceptional recordings right out of the box. 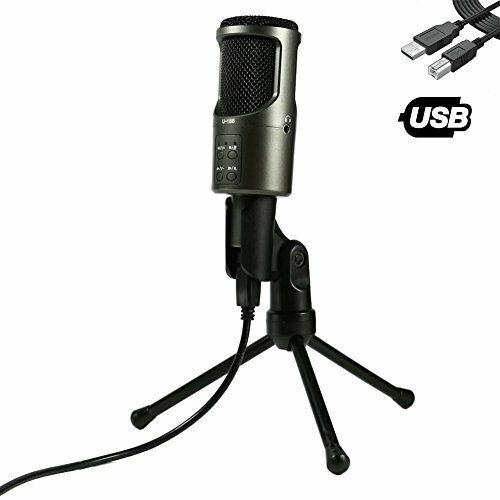 Microphone, adjustable stand, USB cable and instructions. Nuts USB Microphone is backed by a one-year limited warranty.